Promoting understanding of the attributes of complete communities. 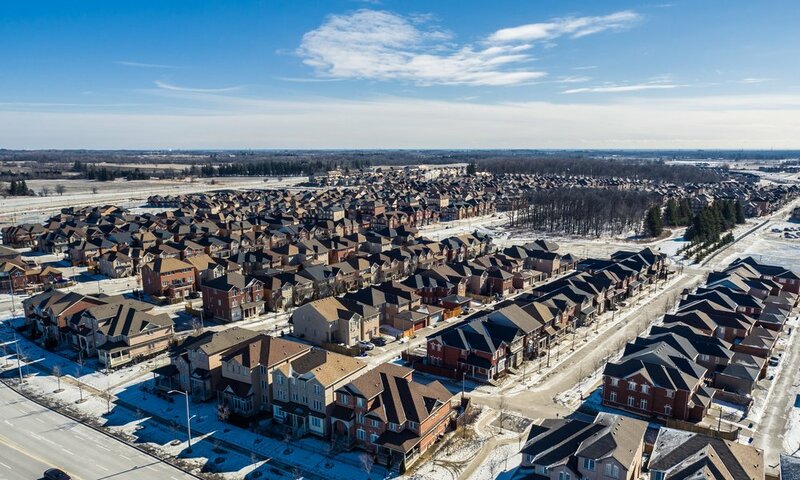 Sustained population growth over the next 15 years combined with provincial land use plans means that 12 million people will move to the Greater Golden Horseshoe (GGH) and need to live and work in the same land area currently occupied by 9 million people. More people in the same space means we have to live at a greater density. Higher densities don't have to mean overcrowding and congestion. Intensification can happen in a subtle, incremental way through buildings that “fit” into the existing community. Good design and appropriate zoning can introduce density that is not intrusive. 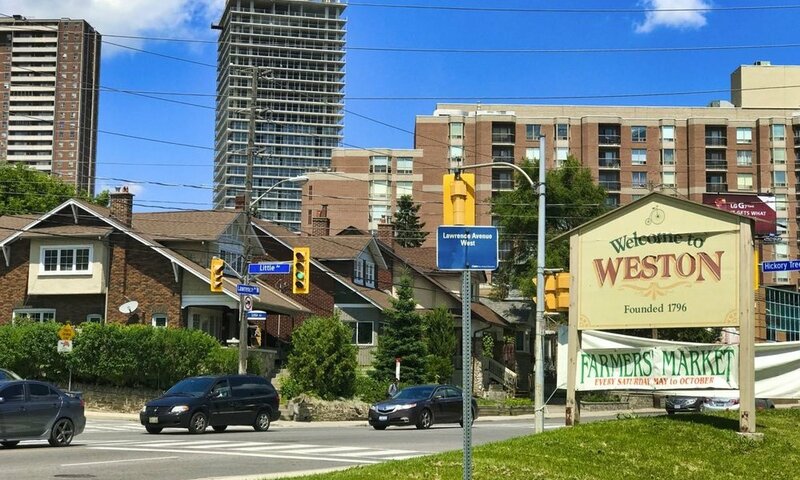 However, increased density alone does not make a great neighbourhood. There are attributes of complete communities which work with density, to create vibrant, inclusive, desirable places for people to live and work. Through our work, we identify and promote an understanding of these attributes to help planners, designers, elected officials, residents’ groups and private sector builders design more complete communities and adapt existing communities over time. This program is helping designers, planners, municipalities, property owners and others involved in the design and development of public spaces to better understand and implement the Design of Public Spaces Standards (DOPS), the design requirements of the Accessibility for Ontarians with Disabilities Act (AODA). Lead by CUI and Human Space (a division of Quadrangle), with the support of the Ontario Government through the EnAbling Change Program. This is a nation-wide initiative to recognize and celebrate Canadian downtowns as vibrant, welcoming and diverse places that make our communities, cities and country thrive. We visited five Canadian cities and worked with local BIAs and other partners to gather stories from people of all ages and backgrounds. The stories were incorporated into a video and interactive website facilitating a nation-wide conversation. Visualizing Density is a pilot project created to help planners, designers, elected officials, residents’ groups and private sector builders better understand density in the context of the growth in their own communities. We want this website and report to be a contribution to the ongoing conversation about managing growth and building great communities in Ontario. CUI selected 5 very different communities in the GGH and calculated their density in terms of people and jobs per hectare at the neighbourhood and block scale, so that people can understand what the neighbourhood built-form looks like in relation to density targets set out in the Provincial Growth Plan. The visuals and analysis in the 5 case studies also encourage users to look beyond buildings and consider the attributes that work with density to make complete communities. Our methodology is easily replicated and can be used by municipalities, university courses, or volunteers to undertake additional case studies. The ULI Technical Assistance Panel (TAP) is a high-profile industry program that brings together the finest expertise in the real estate, planning and development fields to collaborate on complex land use and redevelopment projects. Weston TAP 2.0 was organized by ULI Toronto with the aim of exploring the evolution and potential of the Weston neighbourhood and developing a vision for its retail environment. This report includes a series of ideas and recommendations for Weston around four main themes: retail, public realm, infrastructure and programming. This research identifies and promotes an understanding of the attributes of complete communities which work with density, to create vibrant, inclusive, desirable places for people to live and work. This paper was produced as part of Evergreen's 2018 Mid-Sized Cities Research Series and summarizes the methodology and key findings from Visualizing Density (www.visualizingdensity.ca). Laneways as Bikeways was created to understand whether laneways could be used as alternatives to bike lanes in Toronto. The project included research and consultation with cyclists, non-cyclists and stakeholders to assess whether laneways could be used safely by cyclists to move around the city. This report presents the key findings and outlines the potential roles that laneways can play in Toronto’s cycling network. CUI and its team completed the first area-wide Downtown Community Services and Facilities Strategy (CS&F) in 45 years as part of Toronto Planning’s TOcore initiative. The CS&F Strategy supports the implementation of the new Downtown Plan by informing the Complete Community Assessment and other requirements as part of the Planning Rationale for development applications. It identifies growth related community space and facility needs and priorities to support infrastructure investment in child care centres, libraries, schools, recreation facilities and human services. CUI worked with the City of Moncton Economic Development Department and the Downtown BIA to evaluate the impact of the downtown on the City. CUI converted available data into maps, graphs and infographics to tell the story of how investing in the downtown impacts the overall success of the City. 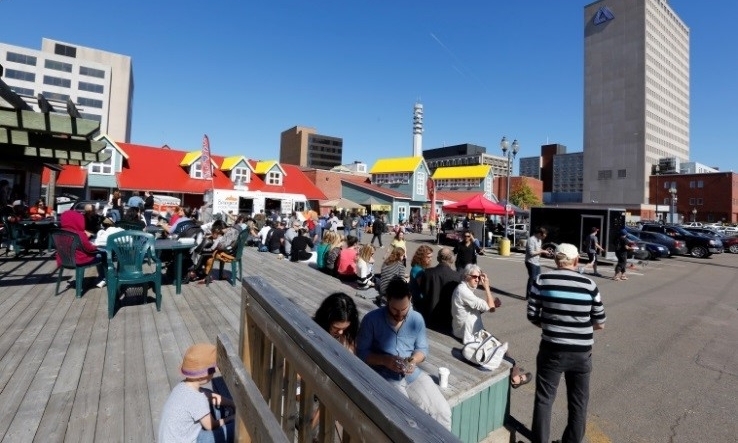 It is helping the City of Moncton and its partners to measure the value of its past initiatives and make strategic decisions about future investments. This is an assessment of community services and facilities in the 16 defined neighbourhoods comprising Toronto’s Downtown. The study engaged key internal and external stakeholders to examine needs and gaps in the community services and facilities sector, including: recreation, child care, libraries, schools, human services and public health. It identifies 13 strategic actions to increase capacity, innovation and collaboration and 27 opportunities to secure new facilities or improvements to existing facilities. We undertook a detailed research and consultation program – including a jurisdictional scan, interviews and discussions with internal and external stakeholders – in order to provide the City with the information required to inform updates to the urban design policies in the Official Plan. The built environment, walkability, safety, accessibility and creating exceptional public realm were key topics of the report. 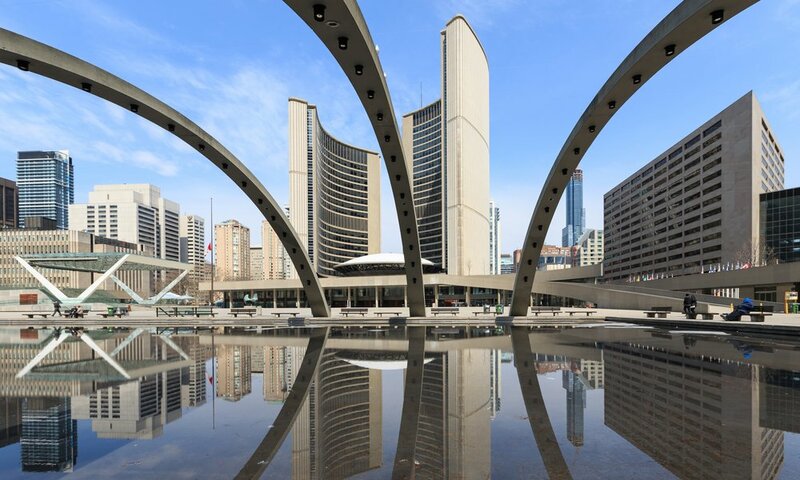 This toolkit is a ground-breaking effort to provide a downtown data standard, a common set of data and processes that will help Canadian place management organizations, such as BIAs/BIDs, establish and sustain evaluation and compare progress among downtowns. While this toolkit is geared towards Canadian downtowns, it also is of value for urban districts outside of Canada who are looking to move toward data standardization and data best practices. In the toolkit, organizations will find directions and insights on collecting, organizing, storing, and presenting downtown-specific data to make the case for continued investment and support. We convened 125 representatives from the private, public, social enterprise and academic sectors to develop the agenda for achieving INVE$TABLE CITIES. This document summarizes the core themes that came out of the discussions and will be incorporated into an action plan for creating some of the necessary public and private changes in Canada moving forward. This Options Report presents three options for re-aligning Vaughan’s wards for public discussion. We were engaged, along with and independent team of consultants, by the City of Vaughan to carry out a comprehensive ward boundary review. This document provides an overall framework for decision making in the City of Humboldt over the next 5-10 years. It includes a vision, strategies, directions and action areas that will help decision makers prioritize the things that need to be done and decide what strategic investments will deliver value to all residents. It also includes a set of indicators that City staff can use to measure and report on the City’s progress. This ‘living’ project is the first of its kind – examining 17 downtowns across Canada to assess changes in attitudes, perceptions, functionality and performance over time. This project is envisaged to act as a resource for city builders, compiling evidence-based research that illustrates the importance of investing in downtowns. More than 170 delegates attended the 2013 Canadian Urban Forum to compare experiences and discuss innovative solutions for getting urban infrastructure built at a time when the need far exceeds current budgets. This report comprises: the Forum position paper authored by University of Ottawa’s Centre on Governance and the Canadian Urban Institute (CUI) – revised to reflect input and commentary from the conference; a summary of the discussions; and links to videos and individual presentations. This study tackles the problem of connecting the way people live and work to a new way of planning the Region. In the next 30 years, the GTA is expected to create one million additional jobs, most of which will be housed in buildings that have not yet been built. The quality of life for those one million workers will be dramatically impacted by where those buildings are built and the transit and road improvement decisions we make now. Parking is an essential piece of infrastructure in the built environment. Yet, cities are continually challenged to find ways of integrating parking into their fabric that are efficient, compact, attractive and ecologically sensitive. 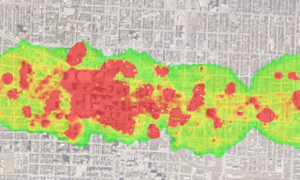 This research aims to not only outline best practice strategies to attract high density parking options that could facilitate office growth, but also provides an overview on how these strategies could be optimally applied in a range of urban contexts. CUI led a consultant team consisting of Sierra Planning and Management and Novita Interpares to help the City of London develop a cultural resource database and mapping capability, provide a calculation of the economic impact of culture in the city and an assessment London’s cultural facilities infrastructure. This study makes recommendations aimed at facilitating a more competitive environment for GTA office employment across all four submarkets defined in the report, and the development sector that supports it. The purpose of this guidebook is to provide municipal staff and other interested parties with a set of indicators that they can use to measure and evaluate the inputs, processes and outcomes of Municipal Cultural Planning (MCP) in their communities. The guidebook provides a menu of over 70 indicators that municipal staff can use to choose what they want to measure in their community. The purpose of the report was to assemble a long-term integrated investment strategy to reinvigorate private investment in the City of Hamilton. This study is a continuation of the Building Momentum work and focuses on determining the potential of the east-west (B-Line) LRT to accelerate development along the corridor and advance the city’s investment strategy. This report assesses the long-term infrastructure requirements for the City of Hamilton, and suggests priorities for investment in infrastructure projects by identifying and analyzing existing and proposed community assets. We convened a range of midrise development stakeholders in Mississauga to identify province-wide challenges and work towards solutions. Participants identified a set of strategic directions that could be adopted to help accelerate public and institutional acceptance, and improve economic feasibility of midrise projects. In this document, midrise issues and strategic directions are explored though three main foci: challenging assumptions, breaking policy barriers, and building confidence. In this report, we review the economic and environmental benefits and costs of aggregate extraction in light of the province’s policy that aggregates should be protected (just like other natural resources in Ontario), and its policy promoting the extraction of sand, stone, and gravel close to where they will eventually be used. CUI developed the Mississauga Culture Master Plan to provide a framework and a longer‐term vision that identifies key opportunities and strategies that the new Culture Division can implement over the next five years to help transform Mississauga into a culturally significant Canadian city. The Plan recommends key actions to build financial stability and increase the organizational capacity of cultural organizations, strengthen cultural infrastructure at the neighbourhood level, strengthen the flow and access to information about cultural resources and activities and leverage public works and private sector development to enhance cultural resources and create artful, livable communities. APARTMENT LICENSING IN TORONTO: A SOLUTION IN SEARCH OF A PROBLEM? This report, prepared for the Greater Toronto Apartments Association, provides an evaluation of some of the likely costs and benefits of licensing rental apartments, based on the experiences of other North American cities that have licensing programs, as well as data on housing quality in those cities and comparisons with cities that do not license rental apartments. This study was commissioned by the City of Mississauga to determine how best to build on its competitive advantage as an office location. It recommends a package of fiscally responsible strategies and innovative official plan policies designed to address key challenges. There are many wonderful things happening in Toronto, but commercial office development is not one of them. 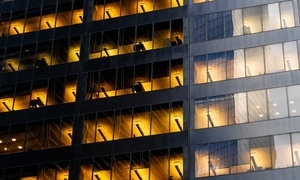 This report, commissioned by the Toronto Office Coalition, which represents the interests of owners and tenants that account for the majority of Class A office space in the City, provides an analysis of the impact that current tax inequities between Toronto and the surrounding 905 have on the competitiveness of offices in Toronto. The Ontario Food Terminal is a unique asset, not just in the Toronto region, but in Canada. It plays a central role in the food industry, which is one of the major manufacturing sectors in central Ontario, and supports grocery stores, restaurants, caterers, and florists in eastern Canada and in some American states. Yet the Terminal is facing challenges. This report was written to explain the importance of the Food Terminal in the local and provincial economy, identify and analyze threats to the Terminal, and suggests ways to ensure the survival and growth of this important resource.